According to their website, ChainLink allows users to connect smart contracts on different networks to your application and external data. Smart contracts, which are self-executing contracts with the terms of agreement (TOA) between buyers and sellers embedded into the code, are also known as cryptocontracts and are stored on blockchain technology. Smart contracts are more secure because they run on a decentralized computing network, which makes them tamper proof. ChainLink is designed to function with some of the most widely-used payment methods both with cryptocurrencies like Bitcoin and Ethereum as well as with the big banking networks like VISA MasterCard, Chase, PayPal, and SWIFT. Swift is one of the largest payment transaction processing networks in the world. ChainLink is working with SWIFT on their SWIFT Smart Oracle, which aims to give smart contracts access to systems outside its decentralized computing network. ChainLink is gaining traction based on the perceived value it is aiming to bring the blockchain– rather than based on hype. As of this writing, ChainLink is trading at $0.45 with a market cap of $157M, a 24 hour volume of $1,7M. ChainLink is available to trade on Binance. Zebi is building a network to store highly important and highly confidential data (such as health records, education records, property records, transaction records, employment records, and utility records) and allow users to control how that information is distributed to third parties who may need access to this data. Managed by Oxford, MIT, Stanford, and IIT veterans, (and thought leaders from Silicon Valley with experience in Google, Uber, Amazon, Microsoft, and Oracle) Zebi is working towards providing blockchain treatment to government and big enterprises in order to help users protect sensitive data. The value of Zebi is heightened by the growing number of recent events of cyber crimes– particularly hacked data and identity theft. Zebi’s website cites three major data breaches in 2017, Zomato data breach, Equifax and Yahoo, as examples of malicious hackers exploiting technological vulnerabilities to steal valuable personal data such as credit card information and social security numbers. In a time where public trust corporations handling their private data is dwindling, Zebi’s blockchain solution promises data democracy. That is to say that all user data would go through an “explicit and granular consent mechanism.” The Zebi Data Gateway is structured to bring data providers and data requesters to a common secured platform. As of this writing, Zebi is currently trading for $0.14 with a market cap of $64M and 24 hour trading volume of $1,5M. 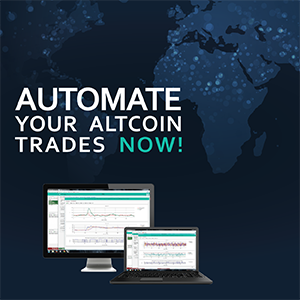 It’s available to trade on IDEX. Holochain is not a blockchain but rather a new system for nodes to communicate with each other. While blockchain is data-centered, Holochain is agent-centric. Holochain aims to address the shortcomings of blockchain technology by allowing for more scalability and the processing of a higher volume of transactions. Holochain is an early-stage project and is, therefore, not on major trading exchanges. As of this writing, Holochain is trading at $.001 and has a market cap of $148M and a 24 hour trading volume of $2M. Currently, Holochain is primarily trading on IDEX. Previous Post Previous post: Register your EOS tokens!